This updated version of the mu’umu’u is a classic! Tank top with adjustable straps, full length with ruffle. Everyone loves the pockets! 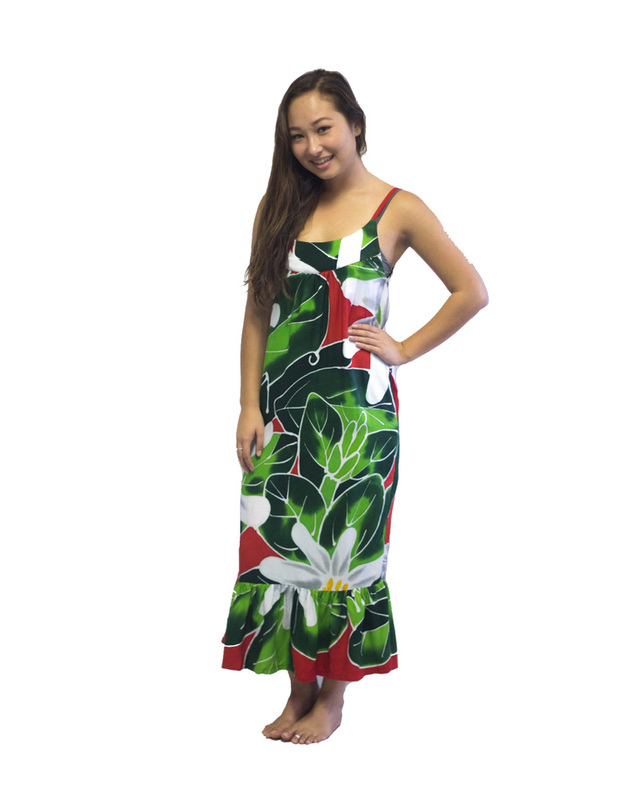 Wear it to your next lu’au! Sizes S, M, L, XL.